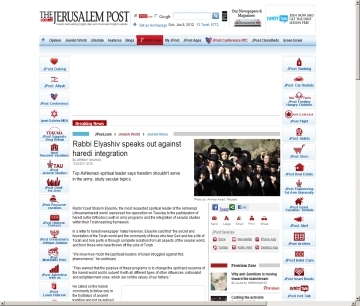 “We are trying to determine what kind of society we are – is this a democracy where the majority decides, or is there a minority that pushes everyone in one direction?” Rabbi Uri Regev, the head of Hiddush. 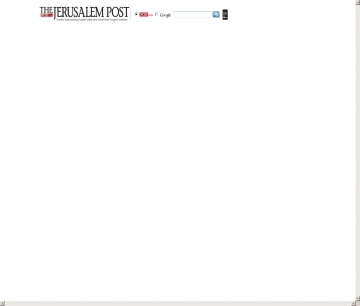 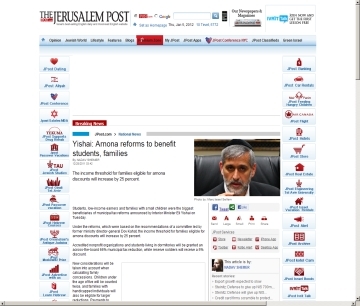 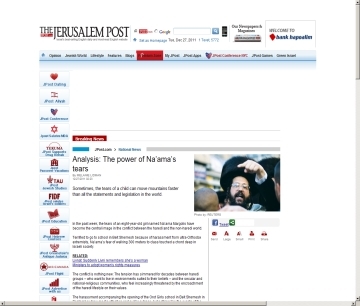 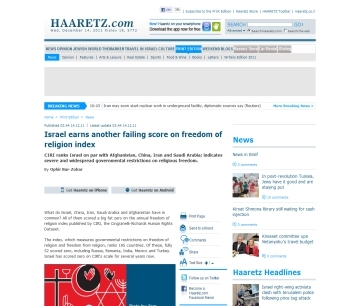 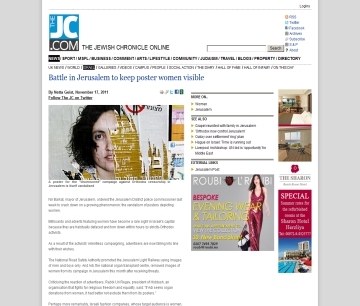 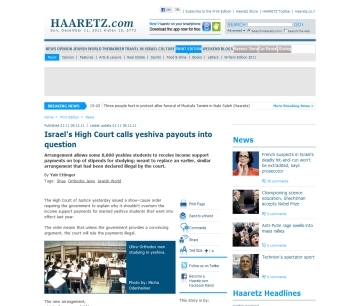 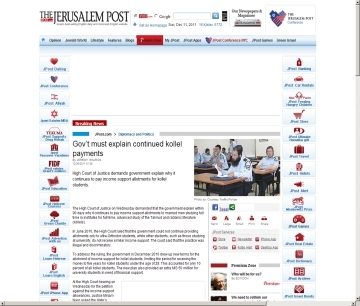 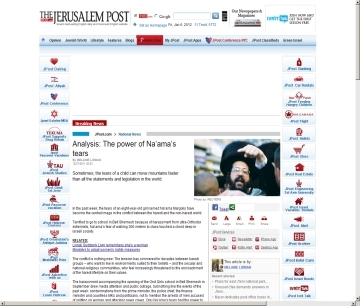 Jerusalem Post, 27.12.11. 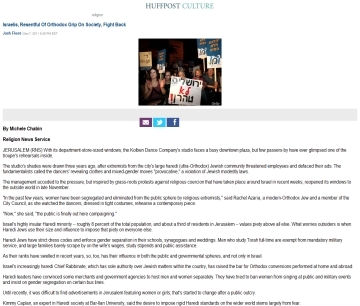 Ultra-Orthodox groups threaten a dance studio because the dancing is not “modest”; dancers respond by lifting their shades and dancing in public. 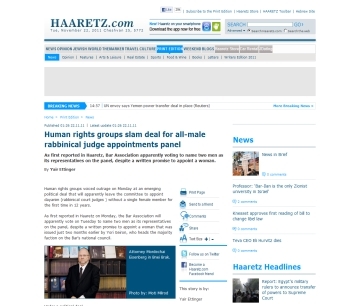 Uri Regev against the proposed all-male committee to select rabbinic judges particularly because of the great impact these judges have on the plight of women. 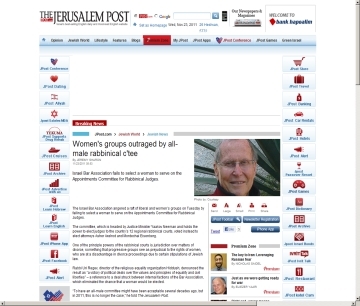 Rabbi Uri Regev remarks on the removal of women from the public sphere.